As with the growing popularity of the click-and-collect order fulfillment model, successfully merging the physical and digital shopping experiences through the application of technology can provide an edge on the competition in today’s marketplace. While Walmart does not equate directly to grocery retail, this demonstrates that merging the digital and physical worlds provides real value to customers, who spend more as a result. This is not restricted to allowing customers to buy products online or in-store. 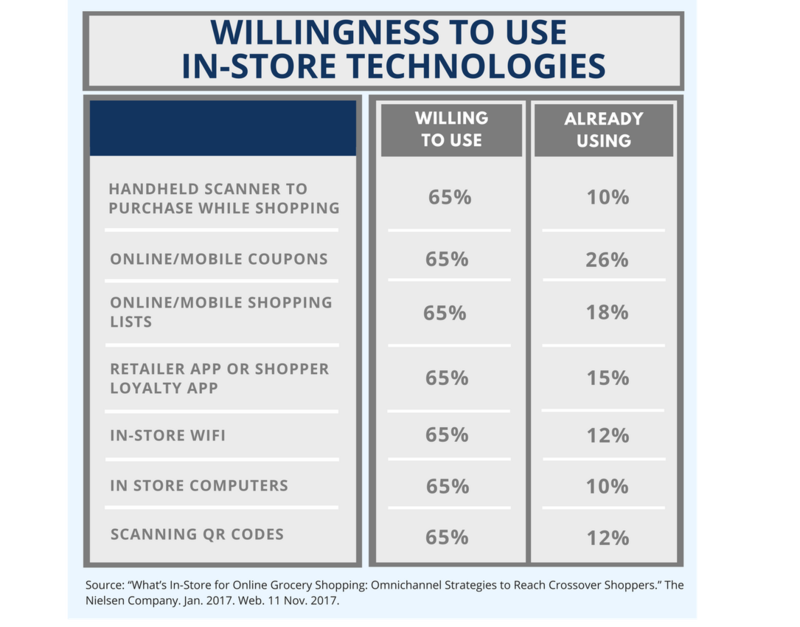 Integrating technology into the in-store shopping experience can provide value for both the customer and the retailer at once. This digital integration can include loyalty/rewards program mobile apps, smart shelves, computer kiosks for inventory lookup, in-store WiFi access with promotions, QR codes on products, online shopping lists, and self-checkout stations. Not only do all of these systems provide tangible benefit and convenience to the customer, most of them also enable sophisticated data collection and analysis to provide valuable market research data. These technologies represent the future of in-store retail. Many, like online shopping lists, in-store computers, and QR codes, provide your increasingly interconnected customers with access to more information than could previously have been available, all while allowing you to collect valuable usage and interest data based on the numbers of items researched and items purchased. 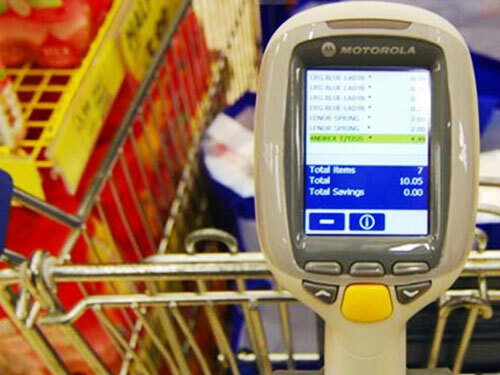 Other methods like handheld scanners and self-checkout stations increase convenience for shoppers, giving them more options and more control over their experience. Your ability to adapt to the changing marketplace and innovate with digital integration, starting in the planning phases of your construction project, will prove highly effective in maintaining loyal customers and competing in the modern retail environment. The grocery store as a format is likely here to stay, but the necessary advance of technology will determine what that format looks like 10 years from now. Article: “Trends for 2017.” International Council of Shopping Centers. Jan. 2017. Web. 12 Nov. 2017. Report: “What’s In-Store for Online Grocery Shopping: Omnichannel Strategies to Reach Crossover Shoppers.” The Nielsen Company. Jan. 2017. Web. 11 Nov. 2017. Report: “The Future of Grocery: E-Commerce, Digital Technology and Changing Shopping Preferences Around the World.” The Nielsen Company. Apr. 2015. Web. 10 Nov. 2017.